“Pro Se” means an individual without an attorney representing themselves in a court of law. Usually one consumer/homeowner AGAINST an attorney or two that has a LEGAL TEAM behind them with a lot of experience and wins against Pro Se litigants - may your or yours not be the next fighting without an attorney led legal team. So, Pro Se litigants dealing with foreclosure need to match and mirror the Pretender Lender bank's law firm/s. That is what ACPSJ.com provides – an ala carte “legal services team” to level the “playing field” in court. ​If you do not have right tools to do the job of winning your case - it does not happen. ​That is where ACPSJ.com helps you build your legal team. Pro Se litigants dealing with foreclosure need to match and mirror the Pretender Lender bank's law firm/s (or the 3rd Party Debt Collector/law firm). There maybe one, two or more law firms/attorneys representing your bank. The point is your Pretender Lender bank will try to out resource you into giving up defending your land your home your American dream, so they can get a FREE home - or collect the debt they claim falsely you owe them. Not you trying to get a free home as you have superior title by proof of your payments made which is FAR MORE than what your Pretender Lender bank can prove they paid (more than the $10 banks claim on likely fraudulent assignments!! - their $10 to your $ tens of thousands, hundreds of thousands and more you have paid!). How do they out resource you? Because these law firms representing the banks - have a LEGAL TEAM behind them = Legal Secretaries, Legal Researchers, Law Clerks, Paralegals, Securitization Expert Witnesses, Forensic Document Examiner Witnesses, Chain of title Expert Witnesses, Chain of Custody of Note Expert Witnesses, CPA Expert Witnesses, IRS Expert Witnesses, Securities Expert Witnesses, Bank Advocate Attorneys and Bank Advocate Retired Judges. You are just a legal team of one - with you as lead quasi attorney - up against all that - to defend your title to your home and dream? Or for you to defeat a 3rd Party Debt Collector trying to steal your money by fear. This is unfair and why the majority of Pro Se's lose. It is a rigged system. Unless you use their own laws against them. With a legal team that mirrors your Pretender Lender bank legal team you can make your fight equal - if not better. It is all up to you to lead your legal team because nobody but you knows your casebetter than you do. Your case story needs to be communicated in a nutshell 24x7 - permanently recorded for access by all attorneys involved both sides, judge/s, jury/ies, Appellate Court and even Supreme Court if need be. If you do not have right tools to do the job of winning your case - it does not happen. ​That is where ACPSJ.com helps you build your legal team. If you do not have the right arms to fight your battle successfully - it does not happen. 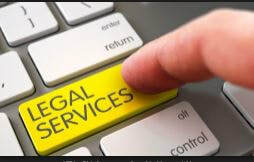 ​That is where ACPSJ.com helps you build your legal team. When you are ready we are. Let's get going and solve your Pretender Lender bank problem, or your 3rd Party Debt Collector problem or whatever related legal problem you have!